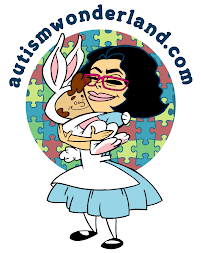 AutismWonderland: "When Carl Met George [George and the Missing Puzzle Piece]"
"When Carl Met George [George and the Missing Puzzle Piece]"
This Arthur (a PBS children's cartoon) episode [shown in 4 parts] explains/introduces Aspergers to children. Children with Autism and other special needs should be regularly included in all children's programming as well as mainstream children's literature. Acceptance comes from knowledge, and education about children with special needs has to begin at an early age. Love my Blog? Vote for Me! My nephew has autism and I am so glad I found this blog. Now following!! Autism has always been a topic close to my heart. I've interviewed several parents with autistic children, and with the numbers increasing, as a journalist and health blogger, it's always been something I like keeping track of. I am so glad to hear that Arthur (I've always loved the show, ever since I was young) is covering it. Thanks for posting these videos. I will have to watch them when I get some time. Am a new follower of yours too. Thanks for following my blog. My goal with this blog is to educate and inspire. While Autism has its challenges, it also has so many wonderful and amazing elements. My little guy and so many others I've met, have really changed my life and perspective on Autism. Nice page!! Following from MBC. Have a great Sunday!